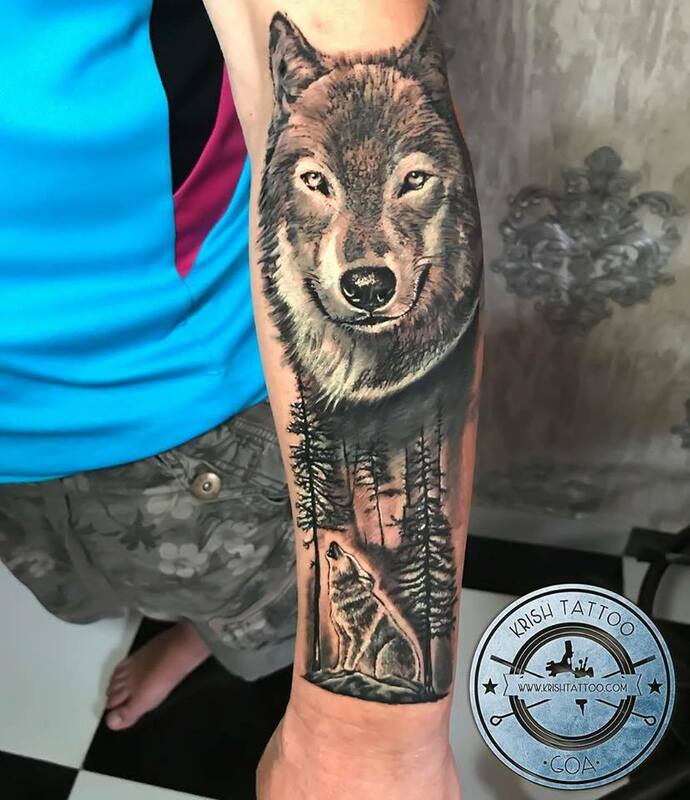 Our Artist: Vijay Did This is the cover-up of his old tattoo with a Wolf tattoo I did on a very special and kind person.. who came to our tattoo shop by finding the best coverup tattoo artist who can successfully cover-up his tattoos. Although he did have the coverup from other place in goa 2years before but the amatuer artist just ruin it. For a 8hours he was just smiling because he knew he will get the best coverup tattoo and the best tattoo he could ever get on his body. Tattoo Done with Inkjectanano Machine. The History, Meaning, and Associations of the Wolf Tattoo. … Native Americans viewed the wolf as a totem animal or spirit sent to help guide us through life, symbolizing loyalty and perseverance. In legends,the wolf had great powers given by the Great Spirit. Wolves also had the power to change into people.